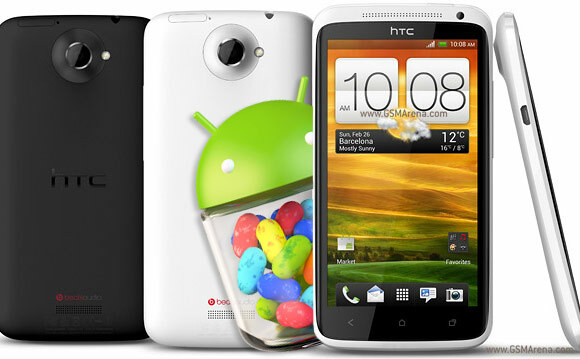 HTC has just launched an Android 4.2.2 Jelly Bean update with its Sense 5 user interface for the HTC One X. For now, only the unlocked European version of the smartphone can benefit from the update, but the rest of the One X owners should get it in the coming weeks. With Android 4.2.2 and Sense 5 UI, the HTC One X gets features like Blinkfeed, Lockscreen widgets, as well as the Quick settings panel. The latter brings access to 12 different settings with a single swipe. Another user interface enhancement, albeit minor, is the battery level percent indicator next to the battery icon in the status bar. The gallery app has been also overhauled with video highlights, which come with 12 different themes. There's also auto exposure and autofocus lock available in the camera app. Lastly, the music app enjoys the got visualization with live lyrics. The Android 4.2.2 update for the HTC One X weighs at 380 megabytes and brings the software version of the device to 4.18.401.2. HTC has been launching quite a lot of updates for its Android smartphones this summer. Just the week before, the company issued the very same update for the HTC One X+. In July, the company started seeding Android 4.2.2 for its flagship HTC One, and just a day after that the Butterfly got the Android 4.2.2 treatment.